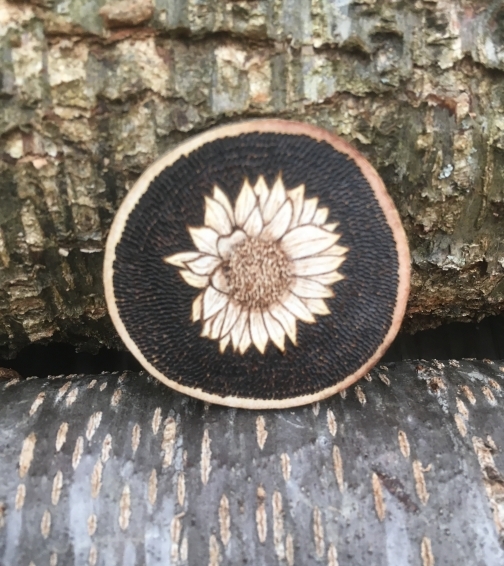 This unique and comforting handmade wood burned sunflower magnet would go great on your fridge or any magnetic surface. It is a simple and affordable way to brighten your day every time you open the fridge. 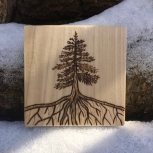 This lovely fridge magnet is on a 1.75 to 2 inch birch or maple wood slice with a natural bark border. 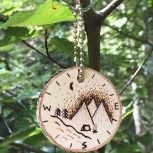 This design has a handmade wood burned sunflower in the middle and a fully wood burned background to make the sunflower stand out more. One of my favorite types of flowers since they remind me of some experiences when I lived in Ukraine with all of it's sunflower fields. 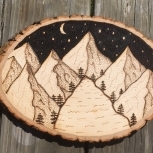 This item is not laser engraved, it’s all done by hand with a wood burning pen. 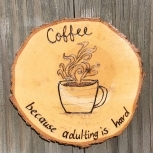 This magnet is a great gift for any occasion, especially for Mother's Day or housewarming parties. The magnet is strong enough to hold a sheet of paper or a photo on your fridge. 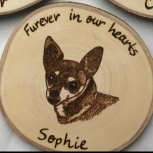 Or you can just use it as decorative purposes for your kitchen. 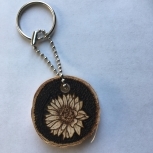 Check out some of our other listings with sunflowers.